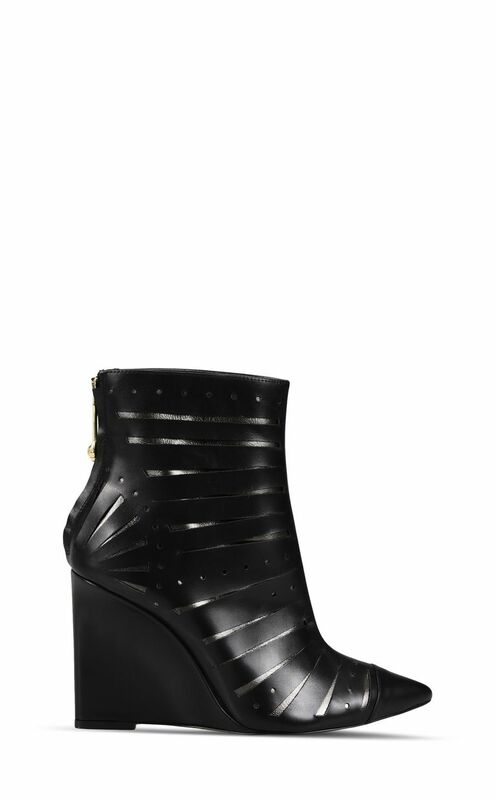 Elegant leather ankle boot featuring all-over cut-out details. 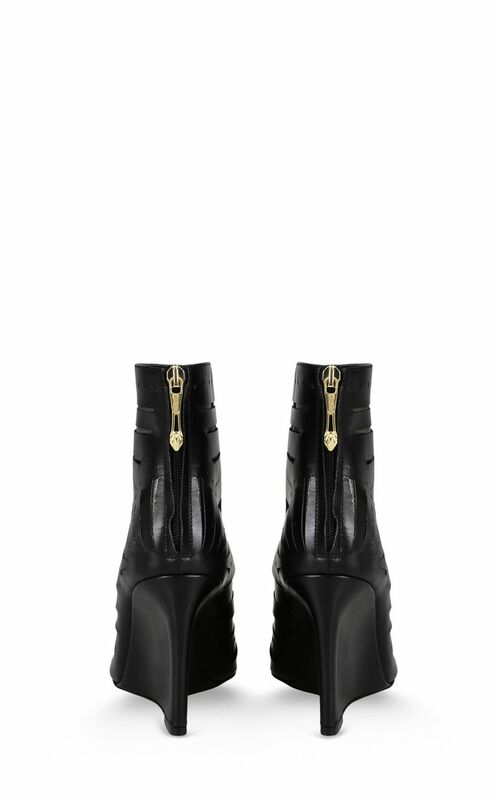 Styled with a comfortable wedge heel. Zip fastening on the back.